The SSZ has a top coat with high adhesion paint and a strong paint film to improve coating strength. The treble hooks as well as the assist hooks also have a high-performance anti-rust coating. The high hooking and high anti-rust performance make the SSZ an essential item. This is the model designed especially for shore casting. With its super slim body and minimal air resistance it is possible for anyone to do a beautiful long cast. With its light weight zinc body, it can easily float up to the surface when you need it to. The slow enchanting movement of the SSZ has a power that will attract the target that you want! 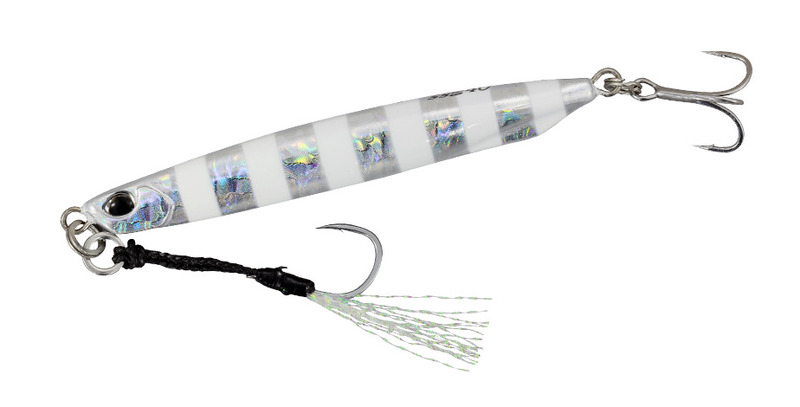 The hard zinc alloy allows for a super slim body that is perfect for targets which require a slimmer model lure.